This stunning 12-light Chandelier only uses the best quality material and workmanship ensuring a beautiful heirloom quality piece. 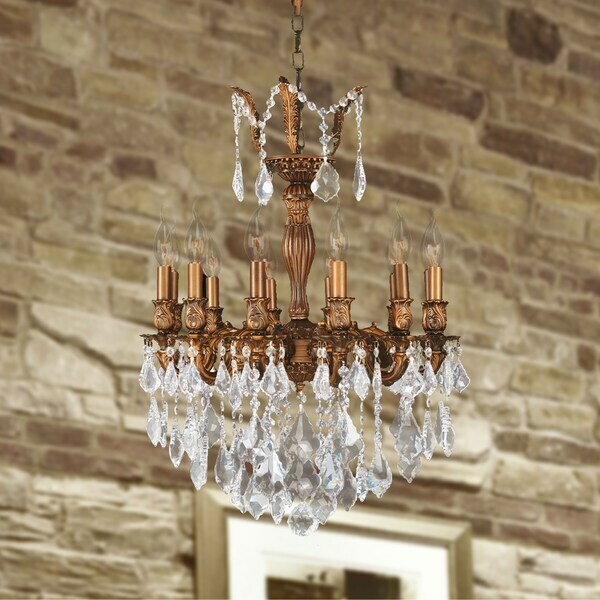 Featuring a cast aluminum base in a lovely French gold finish and all over clear crystal embellishments made of finely cut premium grade 30-percent full lead crystal, this chandelier will give any room sparkle and glamour. Dimensions 20.0 In. X 20.0 In. X 26.0 In. "Hello. I Am Looking For a Versailles collection 39 inch crystal cast brass chandelier. With 13 lights. Please Let Me Know If You Guys Have It And What The Price is and how long it will take to arrive. Thank You"
Unfortunately I was unable to find the chandelier that you are requesting.